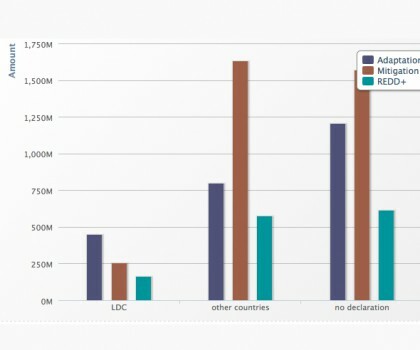 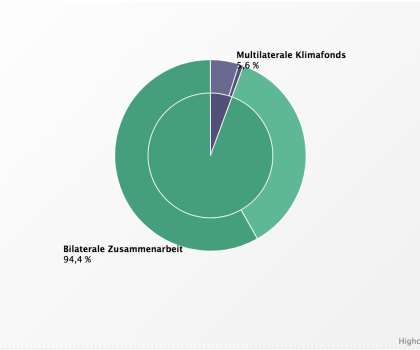 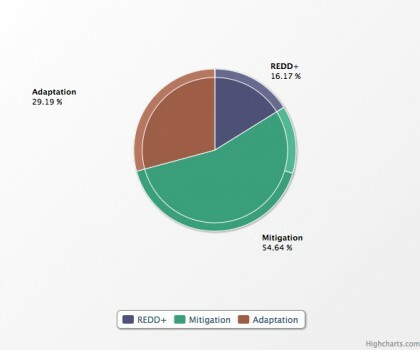 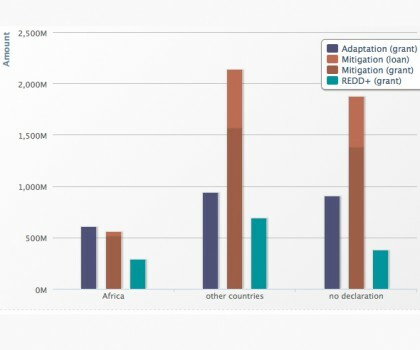 The website offers a series of dynamic info graphics for the analysis of German climate finance illustrating its distribution on sectors, regions and country groups. 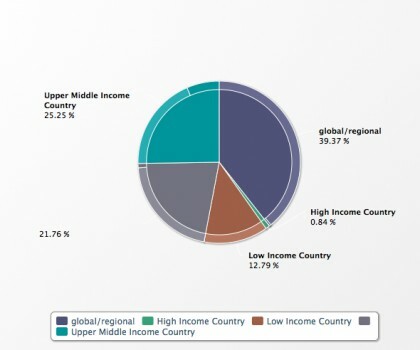 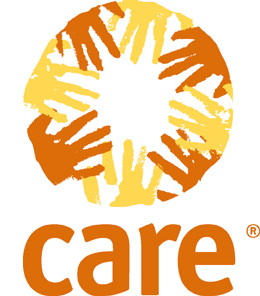 The graphics are linked with the project database. 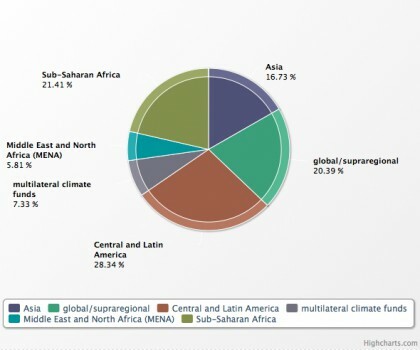 They are continually updated with new entries into the database. 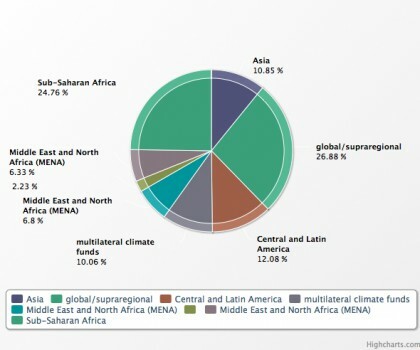 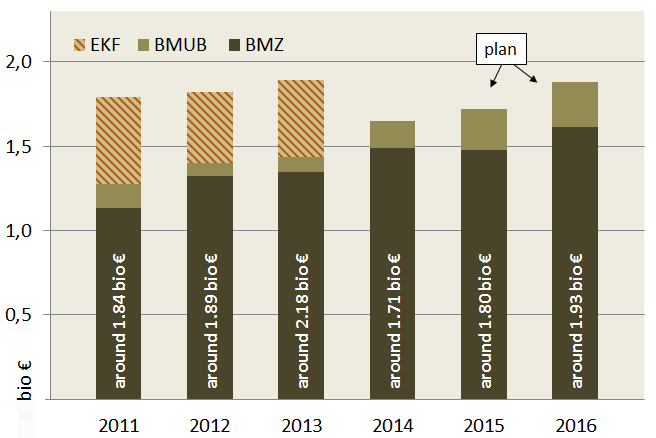 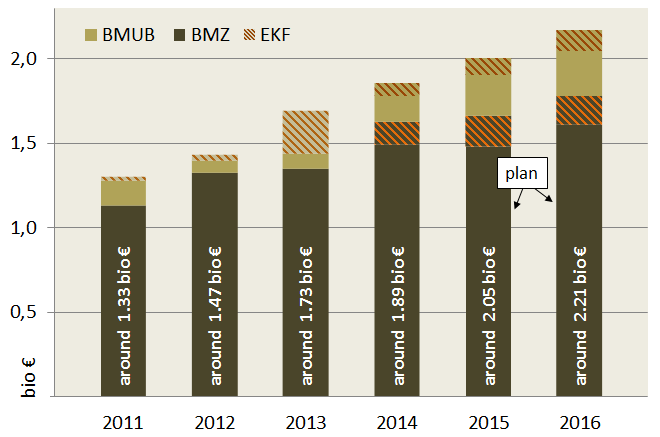 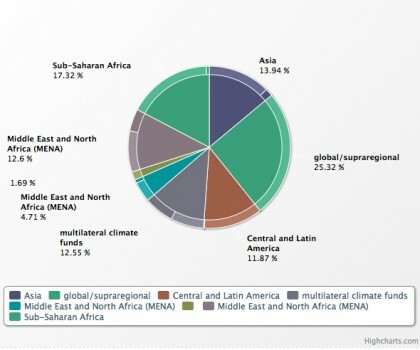 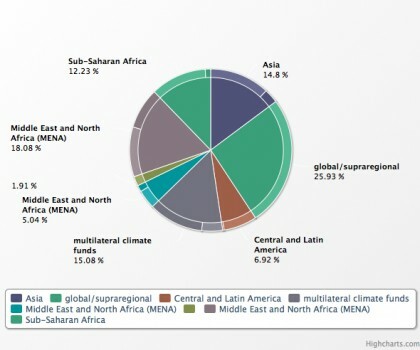 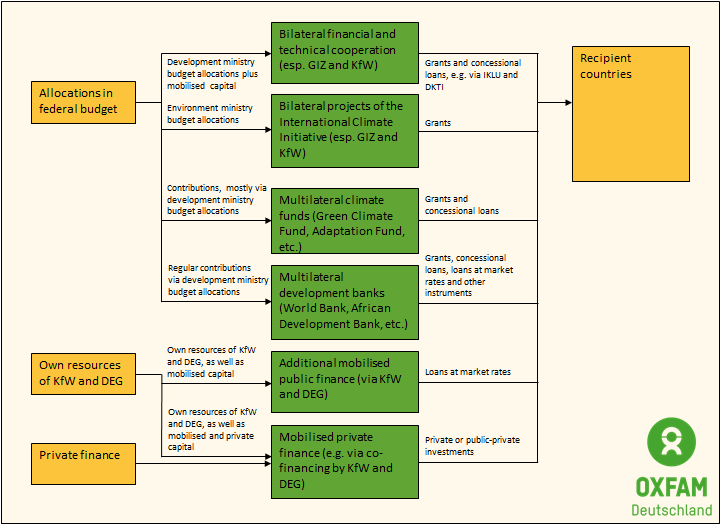 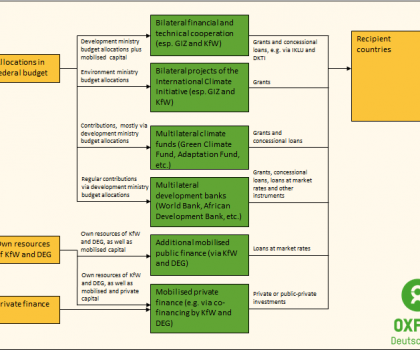 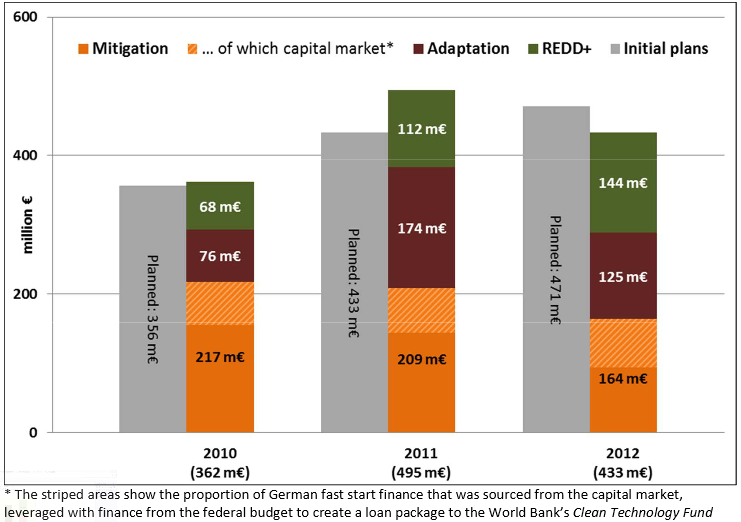 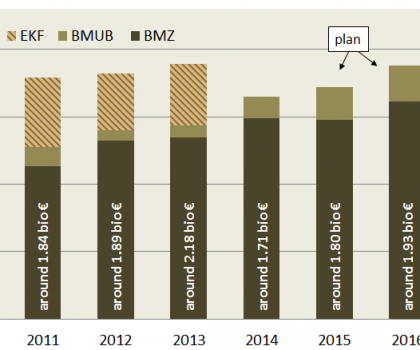 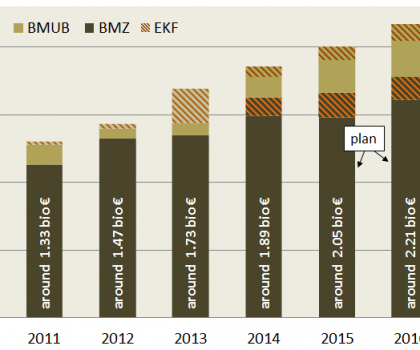 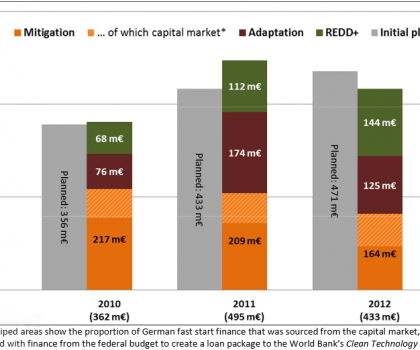 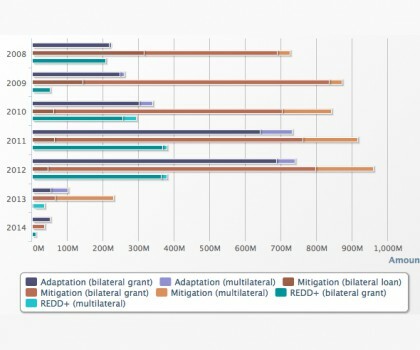 This page also offers additional illustrations of the increase and channels of German climate finance.